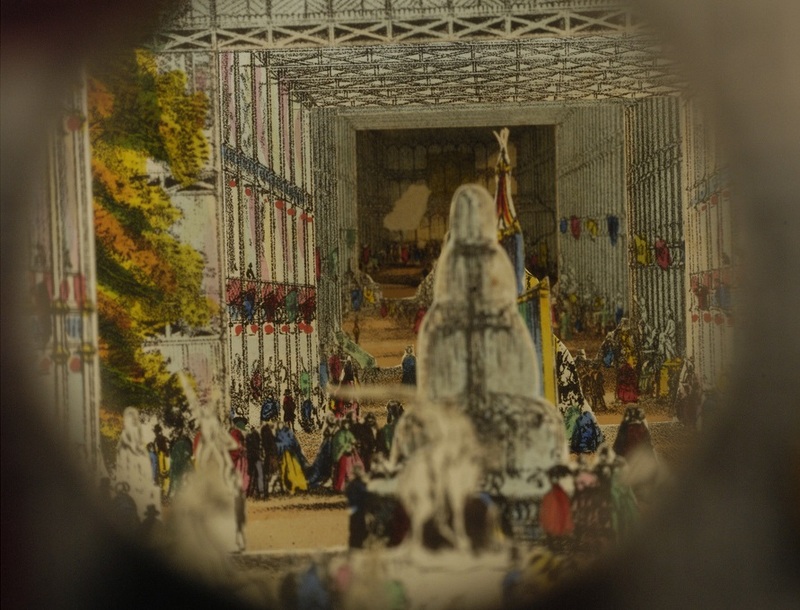 The Winston Tabb Special Collections Research Center is pleased to host “Downfall of the Exhibition: Ephemera and Opposition at the Crystal Palace,” a presentation by Jo Briggs, Associate Curator of 18th- and 19th- Century Art at the Walters Art Museum. Please join us on Wednesday, March 7, 5:15 pm, in the Macksey Room, Brody Learning Commons M-Level, for a lively talk and a display of World’s Fair items from the Sheridan Libraries’ own collections. While it was mostly conceived as a huge advertisement for British manufacturing at the height of imperialism and industrialization, there were also participants from the British “Colonies and Dependencies” plus 44 other nations in Europe and the Americas. In all, there were over 100,000 exhibits of commodities, new machines, artworks, and raw materials from colonized countries (paving the way for future Fairs to feature stunningly racist “living exhibits” of colonized peoples themselves). As you can imagine, the official hype for the exhibition emphasized its decorum and orderliness. In newspaper articles, official catalogs and souvenirs, and government reports, the Crystal Palace was presented as a modern, perfectly organized, and highly respectable spectacle. But of course that was not the whole story! Focusing on a trove of unofficial ephemera—ballad broadsides, for example—Jo Briggs reveals a very different picture of the World’s Fair: ruder, lewder, and more insurrectionary. To accompany her talk, we’ll have a small selection of our own World’s Fair materials on hand. All are welcome, and the event is free! Come one, come all to the Fair! Why Can’t Some People Donate Blood? Is That Fair?